The Books for Walls Project: Are you an Archeolibrarianologist? This seemed perfectly fitting considering The Little Sisters plunge into Zooarcheology of late. A little bookish fun. 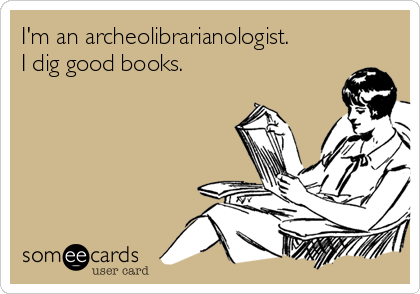 Hope you are digging some good books.